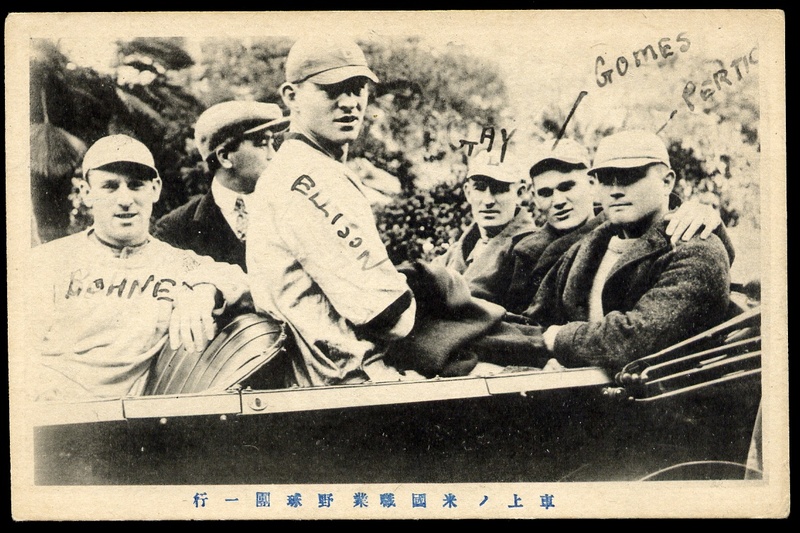 In 1920 a team of lesser major and minor leaguers toured Japan. 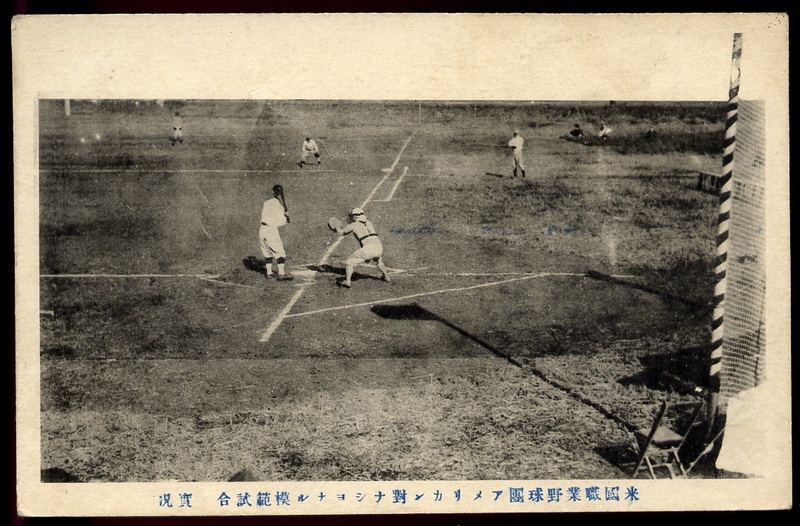 The ill-fated tour included a reported mutiny by half of the players, as well as the notable first appearance in Japan of Herbert Hunter, who would go on to lead similar visits in 1922 and 1931, along with other coaching trips. 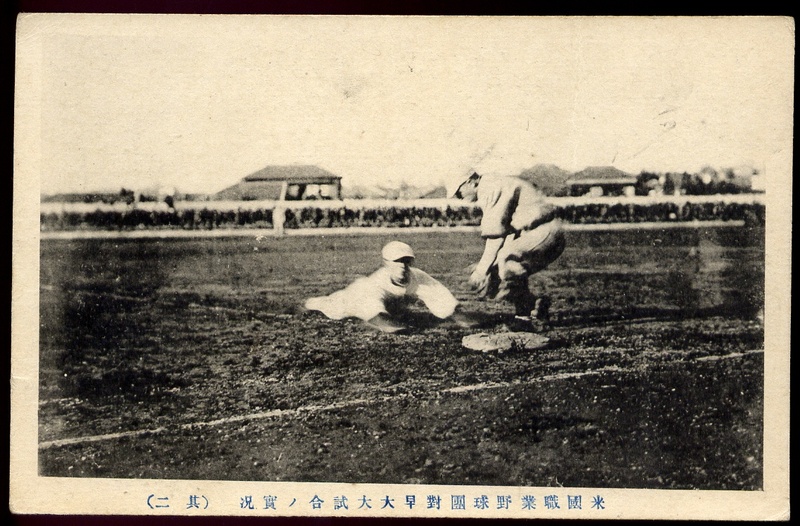 Their trip was captured on several scarce postcards printed in Japan. 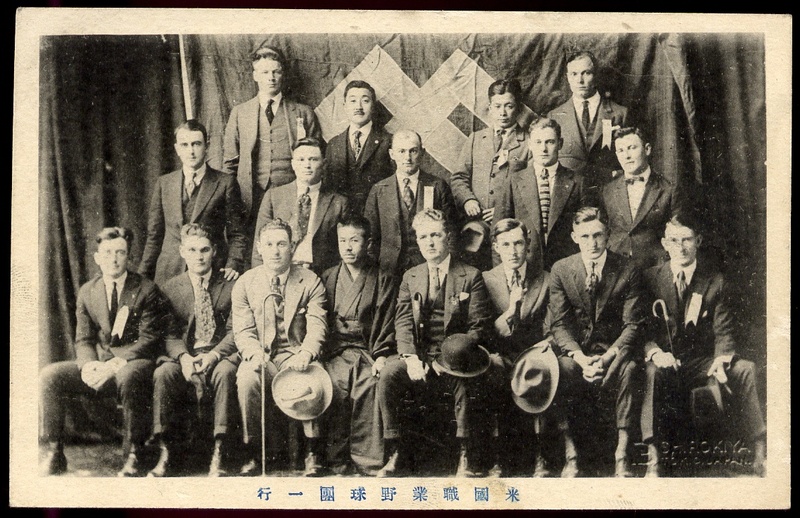 Los Angeles sports promoter, Gene Doyle, organized a tour of Japan commencing in December 1920. 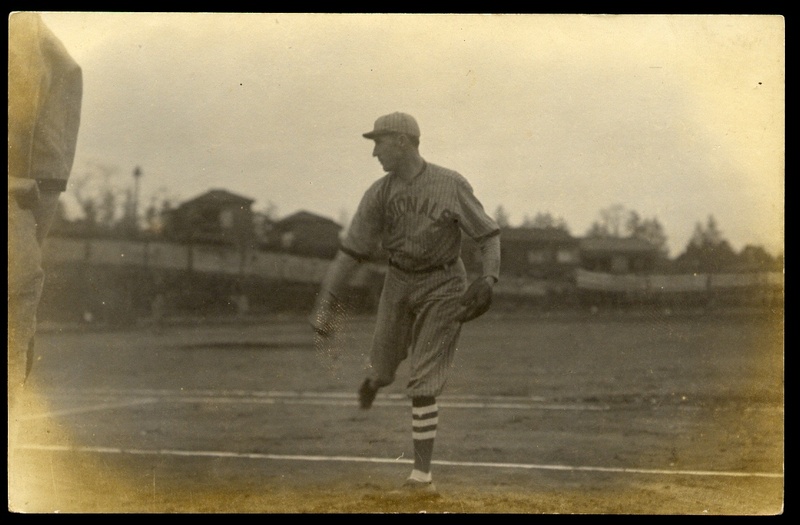 The team included mainly minor leaguers and journeymen major leaguers, all of whom had some connection to major league teams. 20 players were pitted against each other in the opening game -- the American Leaguers versus the National leaguers. The professionals went on to play six games in Japan against local university teams. 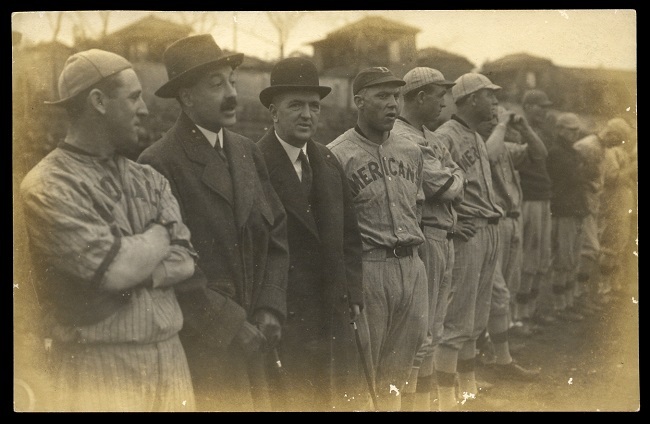 As can be seen in the real-photo postcards below, presumably from the opening game, the word "Nationals" was emblazoned on ten players' jerseys and "Americans" on the others. This tour of Japan is notable for two things: the presence of Herb Hunter, who would go on to lead several tours of Japan with much better players, and a scandal that raised the ire of baseball commissioner, Judge Landis (who would later insist that the players' wives be present on future tours). Ten of the 20 players broke from the tour in Kobe, Japan in January. 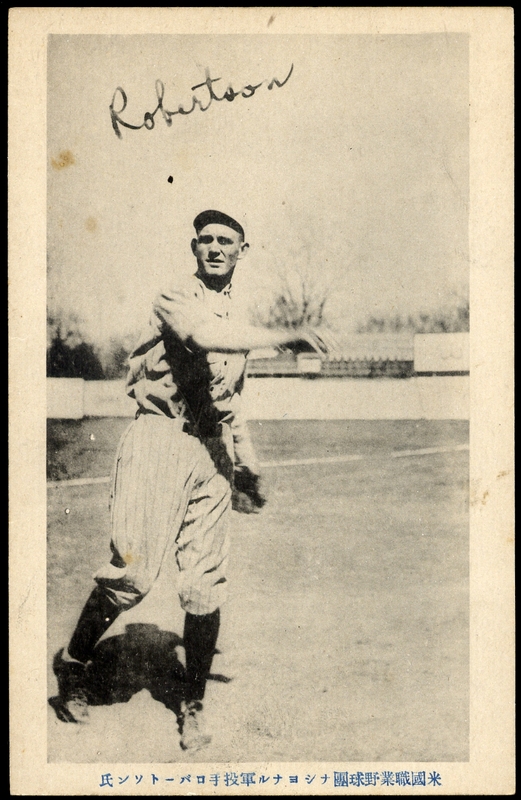 * Sammy Bohne., cf, Cin. 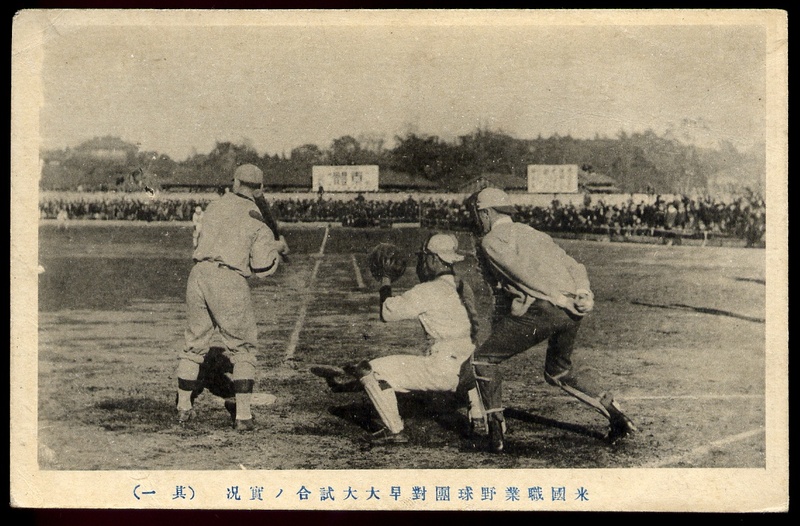 After the 1921 major league season, Hunter returned to Japan for some coaching of local teams. 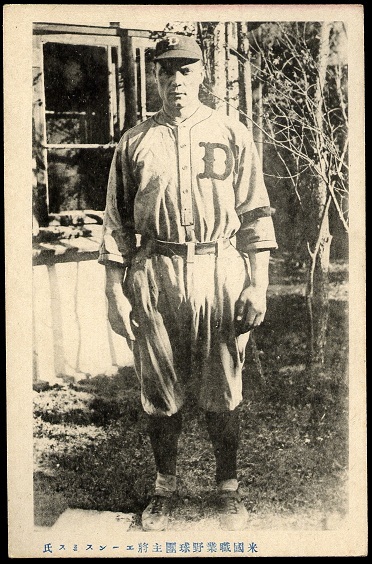 In 1922 he would organize his own tour of Japan featuring major league stars. He was to become known as "Baseball Ambassador to the Orient" as he would lead other tours in 1922, 1928 and 1931, with several other coaching trips also included. 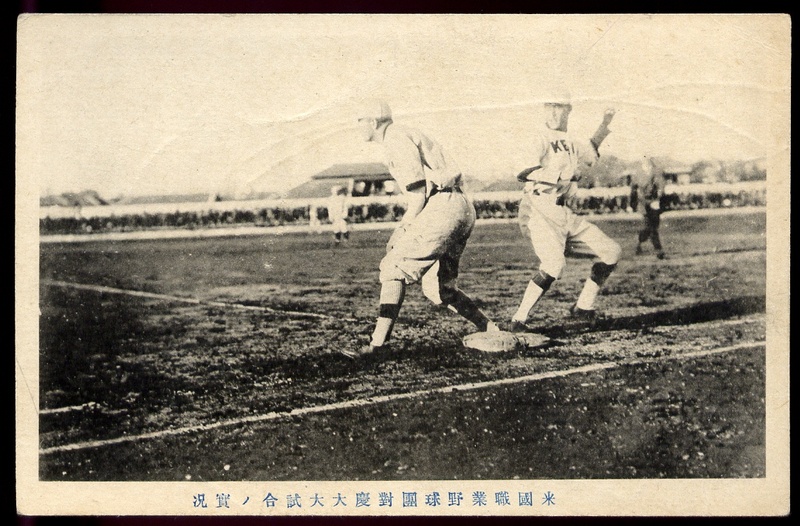 Charlie Robertson, the White Sox right-hander is seen in this Japanese postard, whihc was part of a series depicting the tour members.